The Czech central bank unexpectedly raised its benchmark interest rate by a quarter of a percentage point for a third time this year as consumer spending threatens to boost inflation, reported Bloomberg. The bank's seven-member board raised the two-week repurchase rate, the lowest in the European Union, to 3.25 percent today. Sixteen of 21 economists surveyed by Bloomberg predicted no change, while five forecast the quarter-point increase. Policy makers are concerned that inflation is approaching the bank's 3 percent target and wage growth and low unemployment may spark more consumer spending on homes, cars and other products. Price growth must be kept in check to meet terms for a switch to the euro in the future. Economists had expected no change in rates because the koruna, which lost 4.1 percent against the euro in the first half, has advanced 1.4 percent since the July 26 rate-setting meeting, making it world's best-performing emerging-market currency. A strong koruna keeps down import prices, helping control inflation. The koruna, used as a funding currency in carry trades, tends to strengthen when investors pare riskier investments. It rose 0.1 percent to against the euro at 27.632 at 12:39 p.m. in Prague from 27.646 late yesterday. Plojhar said the recent koruna strengthening was ``not as important'' for the bank ``as we thought.'' He expects rate increases to continue and sees the benchmark rate at 4.5 percent by the end of next year. If the koruna halts its advance against the euro and falls back to above 28 to the common currency ``the current rate hiking cycle could become even more aggressive than we forecast,'' Plojhar said. Raiffeisenbank, one of five institutions which expected today's rate increase in the Bloomberg survey, expects today's increase to be the last this year and sees one increase to 3.5 percent in the first quarter of 2008, said Michal Brozka, an economist with the Austrian bank. All members of the policy-setting meeting were present at today's meeting. A news conference is usually held at 3:30 p.m. in Prague. The Polish central bank raised its key rate to 4.75 percent yesterday. 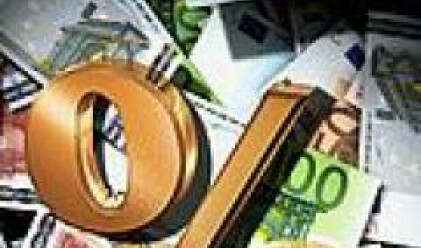 Slovakia's central bank left its main rate unchanged at 4.25 percent on Aug. 28, while Hungary's policy makers left their benchmark rate unchanged at 7.75 percent a day earlier. In the Czech Republic, wage growth and low unemployment has triggered consumer spending on homes, cars and household goods. Retail sales rose an annual 7.2 percent in June, following a 7 percent increase in May and a record 10.5 percent in March. A low jobless rate and vacancies have raised concern about a shortage of workers and rising wages. Adjusted for inflation, wages rose 4.9 percent in the second quarter. The central bank targets inflation at 3 percent plus or minus 1 percentage point. The July inflation rate unexpectedly fell to the lowest in four months from 2.5 percent in June. The central bank forecast an inflation rate at 2.5 percent for July. Ceska Sporitelna expects the key rate at 3.75 percent at the end of 2008.